Under the quantitative monitoring policy, in this session, we will learn about Bank Rate, Repo Rate, Reverse Repo Rate, marginal standing facility (MSF) and how they can be used to control money supply and to fight against inflation and deflation? 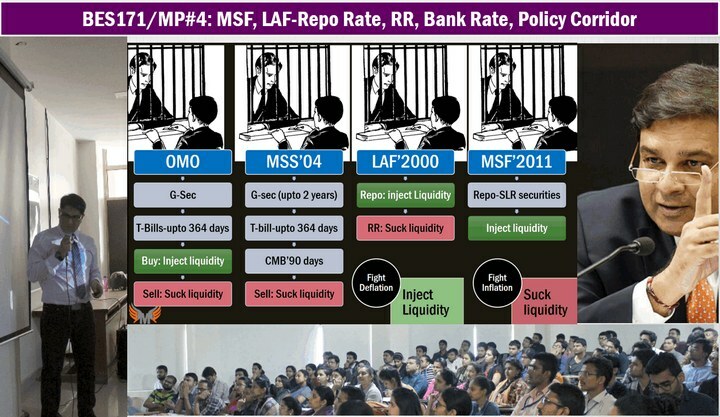 What is the liquidity adjustment facility (LAF) window? What is policy corridor? Why it has been narrowed from 1% to 0.5% by Dr. Raghuram Rajan in April 2016? What is monetary policy, how is it different from fiscal policy? 3 ways of making monetary policy 1) exchange rate stability 2) multiple indicators 3) inflation targeting. In 2013, Dr. Raguram Rajan had setup Urjit Patel Committee to reform the monetary policy making in India. Accordingly, a new section 45-ZB was inserted in RBI act, to provide for a monetary policy committee and inflation targeting. GSM2: statutory bodies- Monetary Policy Committee- structure, composition, functions transparency and accountability provisions. 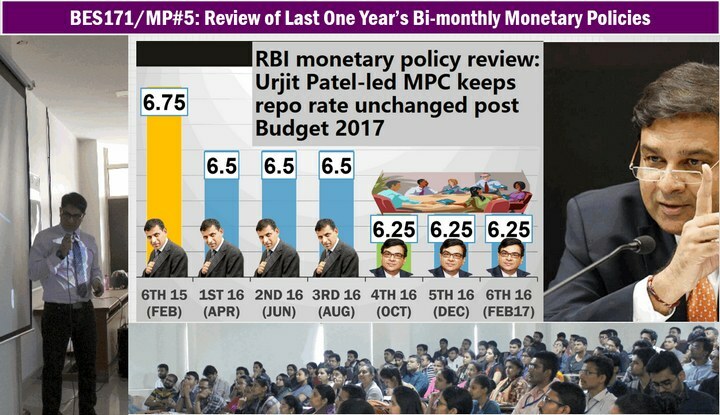 Trend of repo rate under RBI governor Dr. Raghuram Rajan vs Dr. Urjit Patel. Overview of last one year’s bi-monetary policies from April 2016 to March 2017. This concludes the quantitative tools of monetary policy, and thus the old L1/P1-P4 Powerpoint shall be considered “Decontentized”. Next lecture: continued with remaining of qualitative tools of monetary policy. Can you give tentative date of completion of lectures, topic wise?? We r all grateful to u sir…thank u so much. Hello sir..sir am upsc aspirants..am working in PSU as asst manager. Sir am an obc category students.. My parents income is less Dan 6 lack. So I want to know weather am in non creamy layer or non creamy layer.? Dear Debu u r in non creamy-layer category. Thank You Sir for quick response for your much needed guidance and most valuable lecture series. No substitute for your lectures. 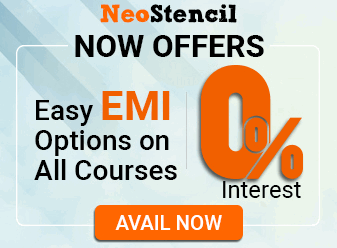 I just study NCERT XI + Sanjiv Verma Sir’s Economy + EcoSurvey + Yojana along with your highly enriched lectures… And to be very honest here sir it was only after the basics from you that I could read the books I mentioned. You have shaped my economy preparation sir. only one question aap gpsc 4june se pahele lecture complete honge ?? if possible please answer ?? Thanks sir…as usual u r awesome….n sir its humble request to you that told Prateek sir to start Ancient India/ Medival India series if possible…. Thanks a lot for your SINCERE efforts …. cant stop myself appreciating wholeheartedly…..
You make things easy thanks a lot. Sir please upload lecture session on ancient/medieval india by pratik sir. Sir, please guide us to sail through CAPF (AC) exam. Which books to cover and how much. There is really a dearth of serious and systematic guidance all over the internet. Sir, Please upload modern indian history lecture of HFS11 on wards as it is missing in the folder. Hello sir I am Vivek kesarwani and I want to prepare for Upsc exams with working can u tell me wat is the best way to preparation for this ? First I want to thank you from UPSC aspirants lobby… for your efforts…… & I hope for 2017 also you will sail our ship to the shores of success…..
Sir, a small request please provide the schedule for the latest Lecture series so that we can prepare accordingly…. When its more than one week I get scared, dont know when Sir will put up the next one… I am sure he will be putting up in a bunch this time… As only few days to go.